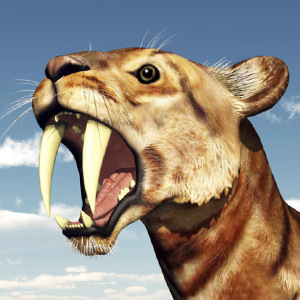 It’s understandable why those tiger teeth developed so rapidly: Life in the Ice Age was hard, and predators needed every advantage just to stay alive. But while human baby teeth take longer to develop (and to go away), they, too, are vitally important. For one thing, the primary teeth let kids bite, chew, speak (and smile) properly, until they are replaced by adult teeth — a process that isn’t usually finished until a child reaches the age of 12-13. So those “baby” teeth allow kids to have good nutrition — and positive social interactions — for a significant part of childhood!